In this episode of the ShellBlack Whiteboard, Shell looks at the options available to send mass email to your Leads and Contacts. First he covers what you can do natively (for free) using the mass email wizard in Salesforce – the volumes limitations, reporting available, and how to handle opt outs to be CAN SPAM compliant. From there Shell discusses the vast world of Email Service Providers (ESPs). ESPs provide greater flexibility over what’s included in Salesforce – and most importantly, they can handle very large volumes of email. Lastly, Shell talks about Marketing Automation Platforms. These solutions can do much more than just send email. They allow you to create marketing campaigns outside of Salesforce that interact with your customer data. The is a very GENERAL discussion to present the landscape available for sending mass emails using Salesforce data. We’re not endorsing any particular solution or vendor, nor are we trying to represent the features of any particular vendor solution. Hello everyone and welcome to another episode of ShellBlack Whiteboard, where I explain an another aspect of about Salesforce and try to give you some tips and tricks on the way to make sure you get the most out of Salesforce platform. I am your host Shell Black, President and founder of ShellBlack.com and Salesforce MVP, and this subject is all about mass email. What you can do natively, what you can do with some other applications and programs, and it is a topic that comes up a lot with my clients. Maybe they came back from Dreamforce and saw all of this kind of showy stuff and they want to know, what do I get with Salesforce out of the box, and will it meet my needs, and do I need another service provider? Or handle do I handle emails and mass emails in Salesforce? Some I am going to give you a quick rundown. First starting with what you can do natively inside Salesforce, and what are the limits and constraints, and what you can accomplish. Then we are going to get into another bucket called Email Service Providers (ESPs), and then we are going to get into a final bucket called marketing automation platforms. And you can imagine it goes from free to expensive. So let’s see, let’s go through these categories and buckets and see where you might fit in terms of your mass email needs. So you can do mass emails insides Salesforce. It’s free, it comes with it, but Salesforce puts some pretty hard governor limits on the amount of emails you can send out. So, it is free, but you can only do a 1,00 per day, and this is kind of general – there are some subtleties between Professional Edition, and Unlimited Edition, and Enterprise Edition. But generally speaking a 1,000 a day, and you can send up to 250 emails in a blast. So, if you need to send out let’s say 4,000 emails, you are going send out 1,000 a day over four days, and you are going to break up that day into four blasts to get that out. It is manageable, but if you start running emails lists of tens of thousands of emails that you need to get sent out in a single day, you are going to have to step into another solution. In which we will allude to here in a second. Ok… so, why would Salesforce put a governor limit of a 1,000 emails per day? What they are trying to do is protect their servers, and making sure that their business communication gets through. What they are trying to avoid is having kind of a rogue customer inside Salesforce send tens of thousands, if not millions of emails that’s inappropriate, and then the Internet Service Providers (ISPs) start getting a lot of complaints from their constituents, because people are hitting that spam button instead in their email client. That comes back and all of a sudden the Internet Services Providers cut Salesforce off. And so, they are trying to make sure that they are protecting their servers and not allowing a flood of inappropriate traffic and having the Internet Services Providers or ISPs shut them down. So, they do this to ensure your business communication goes trough. And for many, many, years Salesforce has been hands off and allowed all the third party applications to pick up that gap. And we will talk about that here in a second. Another little constraint of using Salesforce to do mass emails is there is no native, CAN SPAM compliant way to do that, so there is no unsubscribe button that you can put in your email. There is an option, you can go to the AppExchange, and there is a little app called "Unsubscribe Opt Out" it is actually made by Salesforce Labs, and it is a little piece Apex code, and what it will allow you to do is put a link on the bottom of your emails to unsubscribe and it takes care of your CAN SPAM compliance. It doesn’t come out of the box and you have to download it and use that Apex code. If you are interested in doing mass email from Salesforce and you want to learn how create your HTML templates, and those types of things, I have got a lot of tutorials on ShellBlack.com, to learn how to do that. I will put some links for that in the transcription notes for you. And a couple things that Salesforce does do, is it will let you see bounce rates, and if you HTML emails were opened. I will put some links in the transcription notes of how to run those reports to see your open rates and your bounce rates, but one thing that Salesforce does not do is tell you what happened after they open the email. So, if you have a link inside your email that takes them to a landing page on your website, Salesforce is not going to let you know if they have clicked through that link, they can only tell you if they opened that email. Alright, so with that you are starting to realize there are some limitations of native mass email inside Salesforce. And that has opened up the door to really a big community to come up with some more robust mass email solutions. And if you go to the AppExchange, and you search mass email, you are going to find probably fifty if not a hundred vendors out there that do mass email. You probably heard of a lot of them. Constant Contact, Vertical Response, iContact, MailChimp, there are plenty out there. I am not endorsing any, just ripping some off here. So Email Service Providers (ESPs), a little different, they typically charge by the number of emails you send. So, typically by per 1,000 emails sent. They usually give you a lot more templates to choose from. So, if you don’t want to get really good at HTML, there is going to be a lot more templates, Salesforce does not really provide a whole lot, in terms of templates. It will be CAN SPAM compliant, it will provide a method for people to opt out of your emails. You will still have to do some list management. So, there are probably going to be some uploads and downloads, and some of them depending on which ones you pick, there might be some light integration with Salesforce, and what I mean by light it might be only one way. So, it is not going to be dynamically pulling information, and creating dynamic campaigns, but if you upload a list, it may potentially write back to Salesforce and show you your open rates, your click through rates and those type of things. Check each vendor, have them do a demo, so you can make sure you understand what you are getting with those because it varies quite a bit. Something you should do, if you are going to do a lot of mass emails, through an ESP, through an Email Service Provider, they will shut you down fairly quickly if you have a low quality list. So, if you buy a list off the street of 30,000 people in your industry and you mass email all 30,000 and you get a lot of bounces, if you get a lot of complaints, the email service provider will shut you down fairly quickly and not let you email any more. So, what I would recommend is take a small sampling, maybe 400 or 500 people out of that list and test that first and see what the quality of the list is first, before you risk the 30,000 emails you just bought. Ok… I am going to switch to the next big bucket, what I call Marketing Automation Platforms. I am not trying to do an endorsement, but the ones that most people think about are Eloqua, Marketo, Pardot, and ActOn. There are going to be some others, so if I missed them I apologize. A little different pricing model. Typically they are an "all you can eat" pricing model, so they don’t charge on the number of emails you send, but typically by the valid addresses in your email database, Leads and Contacts. So that is great if you want to do a lot of nurturing email campaigns that send a lot of emails out. They charge by the number of email addresses rather than by the number you send. They come with a lot more features they do other things than just mass emails. So, they can do lead scoring, they can track the kind of engagement or interaction that your customers have or potential customers having on say your website. They have other features like Whitepapers, and managing your downloads, managing your landing pages, creating extra forms on your website, they also allow you to do dynamic campaigns. So, you might have one campaign that is anuture campaign to acquire new clients, but you might have another campaign that is for retention to the clients you already have. Kind of three huge buckets, trying to give you an idea where you might land, native mass email, an Email Service Provider (ESP), or a marketing automation platform. 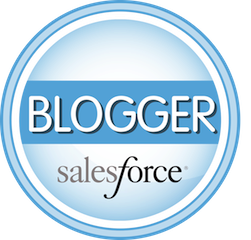 One of the reasons I wanted to bring this topic up, is because 2013 was a BIG year for marketing in the Salesforce world, and a couple of things happened that made big news. So, Eloqua Which is kind of the granddaddy marketing automation platform for Salesforce was bought by Oracle, and Salesforce bought ExactTarget an ESP that also owned Pardot, a marketing and automation program for the princely sum of $2.5 billion dollars. That was a huge acquisition for Salesforce and a lot of people want to know what that is going to do. Some I am not going to do a whole lot of predictions, but in the past Salesforce has stayed out of mass email and they went out and bought a company that was doing mass email. So, some big news about marketing automation and mass email this year, we can go on about that, but something to look into. I hope you enjoyed that, a little overview of mass email, and some of the options depending upon the size of the company and your use cases. If you have any feedback for us, we would love to hear it. You can hit us on email at whiteboard@shellblack.com, you can also reach me on Twitter at Shell_Black, on Twitter we would love to hear from you and we will talk to you soon.